What Fruit Can Hamsters Eat? When we bring home our pet hamster, it is full of excitement and worries. As everything is entire, we don’t even know what kind of food our hamster will like. So, it will be good if you ask a few questions about the hamster’s diet to the vet or to the pet store owner. The most obvious question will be what fruit can hamsters eat? Can they eat everything including raw and cooked food? How much their diet should be? 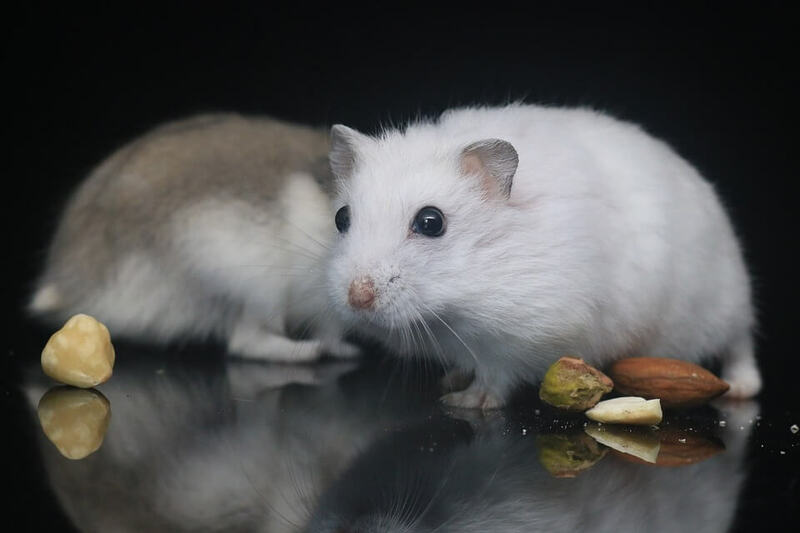 Here, in this article, we are going to answer the most obvious question regarding the hamster’s diet. As you will learn about their likes and dislikes, it will easy to give them exactly what they need. Are hamster herbivores or carnivores? What are the general guidelines for feeding the hamsters? What are the common fruits that hamsters can eat? What other fruits and vegetable can hamster eat? What foods must be avoided by hamsters? If you look at the hamster, it will be impossible for you to think that these small animals can kill or hurt someone. But honestly speaking, Hamsters are carnivores’ animals. In the wild, the hamsters most commonly look for grains, grass as well as insects or meat. They have a mixed to fulfill their body requirements. Even though the domesticated hamster has adapted to the homely environment and stopped eating insects and meat but that doesn’t mean they don’t like it. If you give meat to your hamster, then he/she will surely eat it. As the main question here is about the liking and disliking of the hamster regarding fruits, so, we will explore that facet of their diet. The best and safest approach to feed your hamster is to take the complete meal that you can find at the pet store. If you go to a pet store, then you will know what kind of food will be appropriate for the hamsters. The pet stores often have the pellets for the hamsters. These pellets contain all the essential nutrients that are required by their body. Usually, the typical food items can be given into a significant amount. A limited amount like a tablespoon is enough food for them. Cereals and grains such as healthy bread and oils, oats and other cereals. Protein in significant amount through hard-boiled or scrambled eggs, tofu, lean chicken, etc. The main point to consider is monitoring their diet throughout the day. Try introducing new items gradually in their diet and keep checking out their stools for health. The first sign of abnormality will be reflected in their stools. If any food item is not suited, then you will need to take the hamster to a vet. So, if you are wondering what kind of fruits you can give to hamsters, then there is a variety of fruits that you can try out. The most common fruit that is given to hamster is grapes. The grapes are one of the most useful and healthy fruits for your sweet little pets. Usually, the cats, dogs, and ferrets avoid eating grapes because of the correlation between consumption and kidney damage. But the hamsters don’t show this kind of side effects. Plus they love the taste of grapes. Thus, you can give one grape piece to them, and it will be enough for them. It is a hard question what fruits can hamsters eat. There are so many options for fruits like apples, cherries, raspberries, mango, peaches, etc. Even though the hamsters are open to eating fruits, but you can’t give them a significant amount. Fruits contain a lot of sugar content. And an excess of sugar can upset their digestive tract and lead to diarrhea or other digestive issues. Just like grapes, raisins also have a similar kind of effect on the hamsters. Therefore, it will be better than you consult a veterinarian to decide which food items are suitable for them. The list of appropriate fruits and vegetables is unlimited. There are many options which are fit to be added to a hamster diet plan. Some of these fruits include Mango, cantaloupe, peaches, raspberries, cherries, apples, Ugli fruit, squash, star fruit, pear, melon, kiwi, figs, banana, blackberries, and blueberries too. The list of vegetables includes broccoli, cauliflower, kale, cucumbers, celery, cabbage, coriander, courgette, Brussels sprouts, carrots, lettuce, parsley, peas, cooked potato, water spinach, turnip, etc. Giving our loved pets whatever they want is our preferences. But not everything is right for them. So, you have to take care of the diet. Some of the food items are not just to be avoided; they must be kept out of reach of hamsters. They are very naughty and often known to get inside small spaces to find food. Even though a moderate amount of these items can be fed, but you have to follow the precautions too. If you don’t take proper prevention, then these items can be fatal for your pets. Celery, whole stalks: The strings of the celery can choke the hamsters. Chocolate: Theobromine is toxic for the hamsters and present in high amount in the chocolate. Unwashed fruits and vegetables as it might contain pesticides and other harmful chemicals. If you want to keep your sweet pet safe, then you need to pay attention to their dietary habits. You should keep a list of all the foods that must be kept away from them. Giving them fruits is a good idea as they are both healthy and tasty. But don’t forget to keep the amount in check too. Can Hamsters Eat Peanut Butter?